“Pairings” is an exhibition that teams six painters with six sculptors whose work is deemed somehow harmonious, like dinner entrees matched with compatible wines. The match might be conceptual or formal, although the link isn’t always clear. At Denk Gallery, the three most compelling pairings tend to be formal. DENK is pleased to present Visual Field; the gallery's first solo exhibition of works by emerging, Los Angeles-based artist Katy Ann Gilmore. 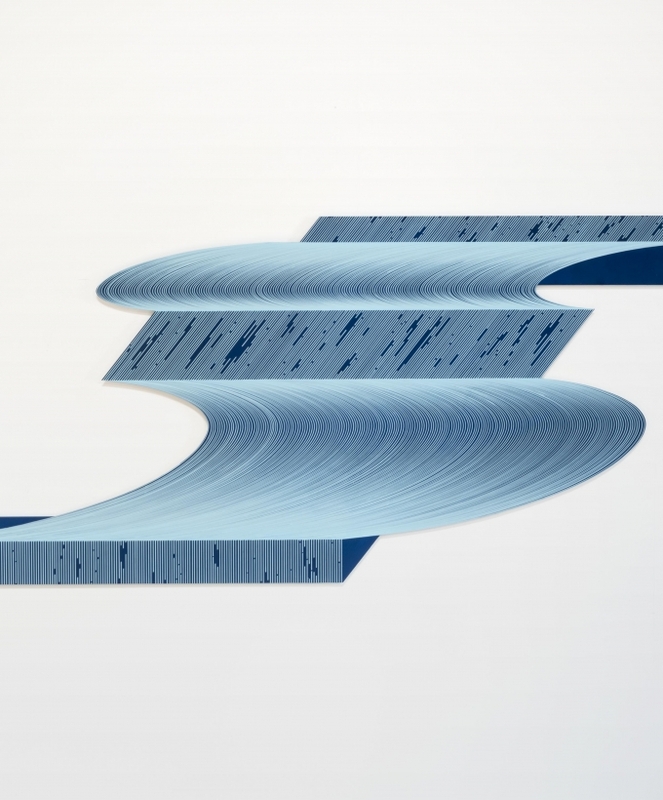 Fascinated by our perceptual relationship to space, Gilmore has devised a drawing-based practice to articulate the world through intersecting line and concise planar geometries, creating spatial impressions far larger than the sum of their minimal parts. 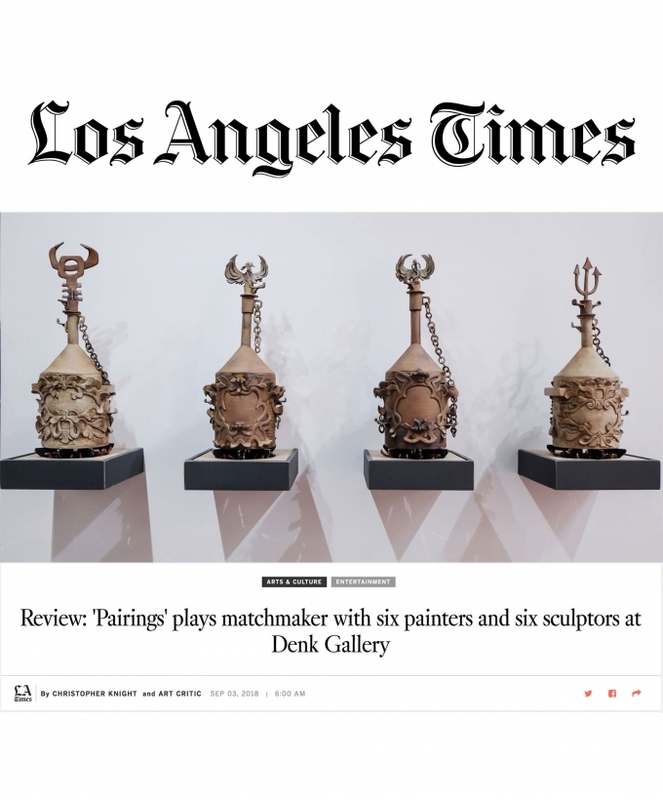 Via the LA Times: "Asad Faulwell, “Phantom,” at Denk Gallery. For some time, the Iranian American artist has explored the stories of the female combatants who fought against the French colony in the Algerian war of Independence of 1954-62. 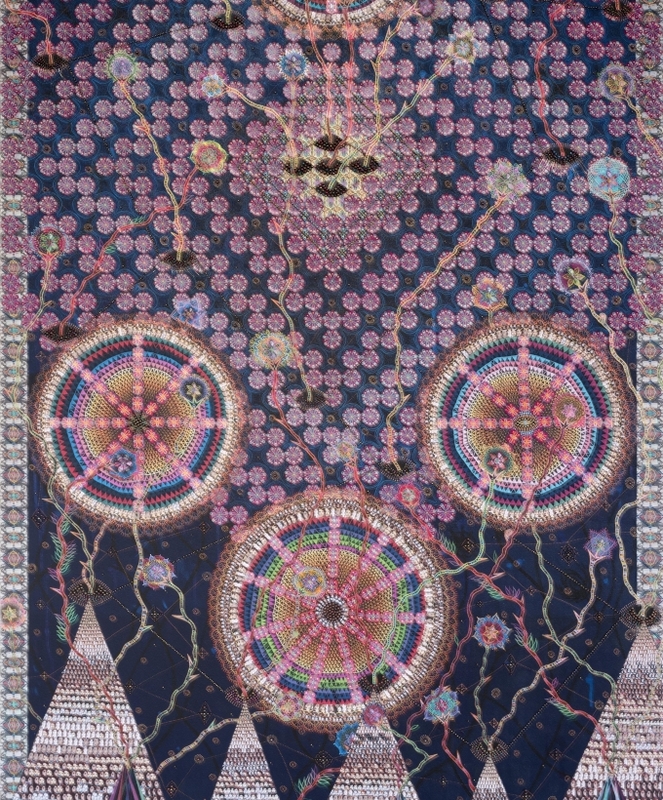 His latest works in “Phantom” continue that exploration, referencing the anonymous warriors who helped make independence possible, while creating works that draw from rich Islamic traditions, including textiles, mosaic and architecture. Opens June 2 at 6 p.m. and runs through July 7. 749 E. Temple St., downtown Los Angeles"